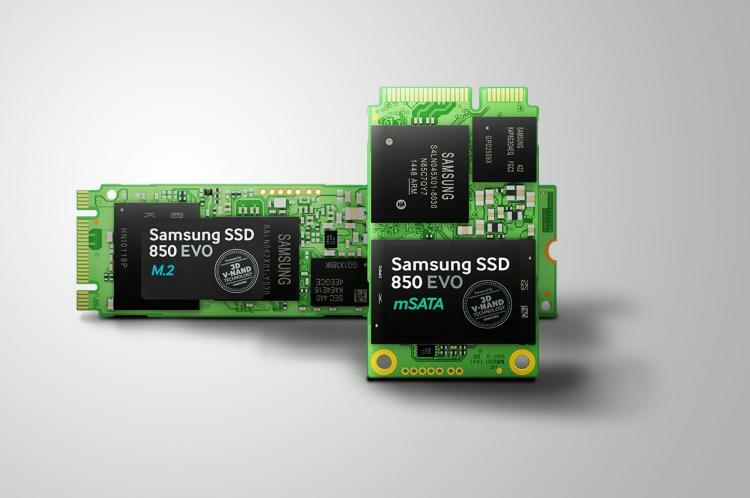 SEOUL, South Korea – March 31, 2015 – Samsung Electronics Co., Ltd., the world leader in advanced memory technology, today unveiled the 850 EVO M.2 and 850 EVO mSATA solid state drive (SSD) lineups, which will launch today in 53 countries. 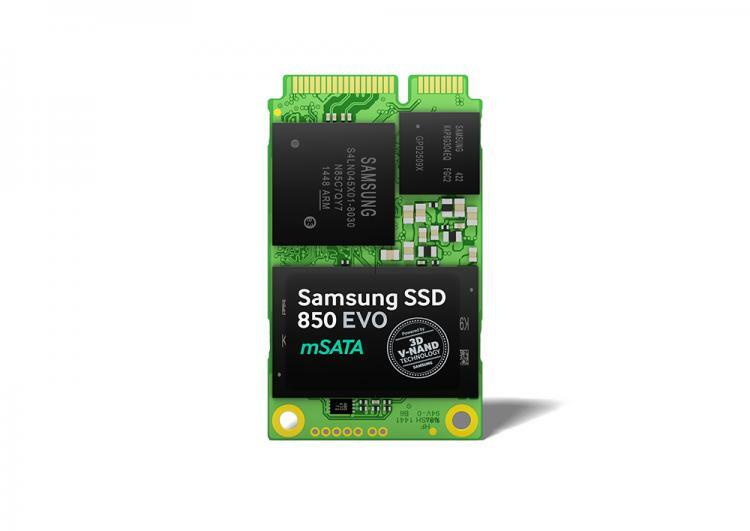 The 850 EVO M.2 and mSATA SSDs are new form factors of the award-winning 850 EVO SSD that launched in December 2014 and features Samsung’s breakthrough 3D V-NAND technology for maximum performance and endurance. Just one-tenth the weight of a traditional 2.5-inch SSD, the M.2 and mSATA SSDs are ideal for users looking to upgrade their desktop or ultrathin PCs with high-capacity, high-performance storage. In December, Samsung unveiled the 850 EVO featuring 3-bit 3D V-NAND technology, which greatly enhanced the everyday computing experience by overcoming the density limitations of conventional planar NAND architecture. 3D V-NAND stacks 32 cell layers vertically over one another, rather than decreasing cell dimensions to fit onto a fixed horizontal space, resulting in higher density and better performance with a smaller footprint. Now, with the M.2 and mSATA form factor SSDs, more consumers with desktops or ultrathin PCs can benefit from best-in-class performance and reliability of the 850 EVO and V-NAND technology. The Samsung 850 EVO mSATA comes in 1 terabyte (TB), 500 gigabyte (GB), 250GB and 120GB capacities and boasts the same top-notch read/write speeds as the 2.5-inch 850 EVO, with read speeds of up to 540 megabytes per second (MB/s) and write speeds of up to 520 MB/s. The 850 EVO M.2 will be available in 500GB, 250GB and 120GB capacities, offer read speeds of up to 540 MB/s and write speeds of up to 500MB/s. Each drive manages large data transfers and complex multi-tasking operations using the Samsung TurboWrite technology. Featuring the TurboWrite technology, the 500GB and 1TB models offer random write speeds up to of 88K Input/Output Operations Per Second (IOPS), and random read speeds of up to 97K IOPS, meaning each drive is able to easily manage large data transfers and handle complex multi-tasking operations. Similar to the 2.5-inch 850 EVO, the M.2 and mSATA drives offer enhanced reliability with improved sustained performance, as well as AES 256-bit hardware-based encryption to ensure the safety and security of data. 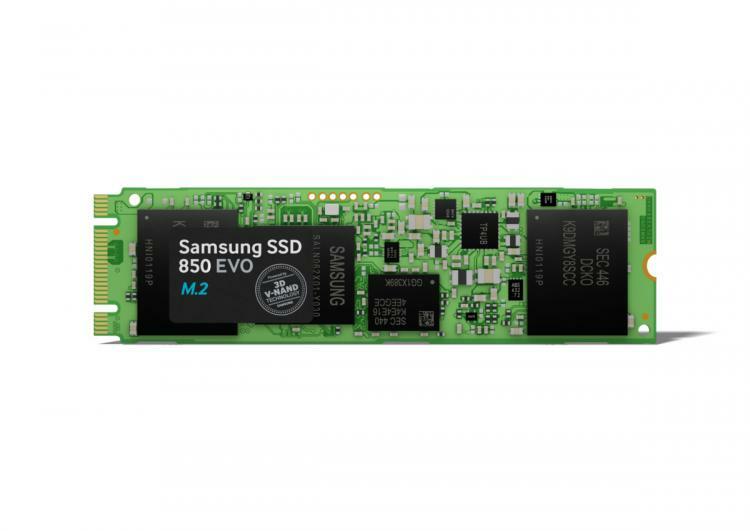 The Samsung M.2 and mSATA 850 EVO SSDs have a five-year limited warranty and an endurance rating of 150 total bytes written (TBW) for the 500GB and above capacities.